With a powerful Intel chip inside, the new Mac mini made big of waves. February 28, 2006: Apple introduces an upgraded Mac mini, an affordable computer powered by an Intel processor. A “headless” Mac for entry-level users, it’s the third Apple computer to switch to Intel chips. Oh, and it makes one heckuva media player when plugged into a television set. With subsequent back-to-back hits courtesy of the iBook, iPod and iTunes Store, the time seemed right for Apple to lure Windows users interested in jumping to Mac. Especially those who didn’t necessarily want to shell out big bucks for the then-current iMac G5. This is where the “BYODKM” (bring your own display, keyboard and mouse) Mac mini came in. Customers who already owned the hardware necessary to operate a computer could save some money on their computer setups. The switch to more-powerful Intel chips for the early 2006 Mac mini jibed with Apple’s decision to move all Macs away from PowerPC processors. Some people raised their eyebrows at Steve Jobs allying with such a big company. However, he saw Intel as the only company producing chips while showing the same sort of long-term vision as Apple. The early 2006 Mac mini came with a bigger price tag. It cost $799, up from the $499 to $699 price of the previous G4 model. However, buyers got a much faster machine. Apple claimed the new one ran about four times faster than the old G4 Mac mini, thanks to a 1.66 GHz CPU, 80GB hard drive and dual-layer SuperDrive. Apple packed all this hardware into an elegant 2.9-pound, 6.5-inch square aluminum body with a built-in speaker. In some ways, the Mac mini prefigured the Apple TV, which shipped a couple years later. While many people used the mini as a conventional Mac, others found that it worked as a superb entertainment center. It could connect to a television and act as an excellent media server, courtesy of Front Row media center software using Apple’s Bonjour zero-configuration networking protocols. This allowed users to share music, photos and video over their local networks. This in turn helped cement the Mac mini as an important part of Apple’s digital hub strategy. The new Mac mini built on this media-friendly reputation by adding four USB ports on the back, as well as a new digital audio line in. It even came packaged with an Apple Remote for good measure — although there was sadly no TV tuner element. Even a decade removed from the Mac mini, I still know people who use these computers as media players — particularly now that they can be cheaply picked up second-hand on eBay. 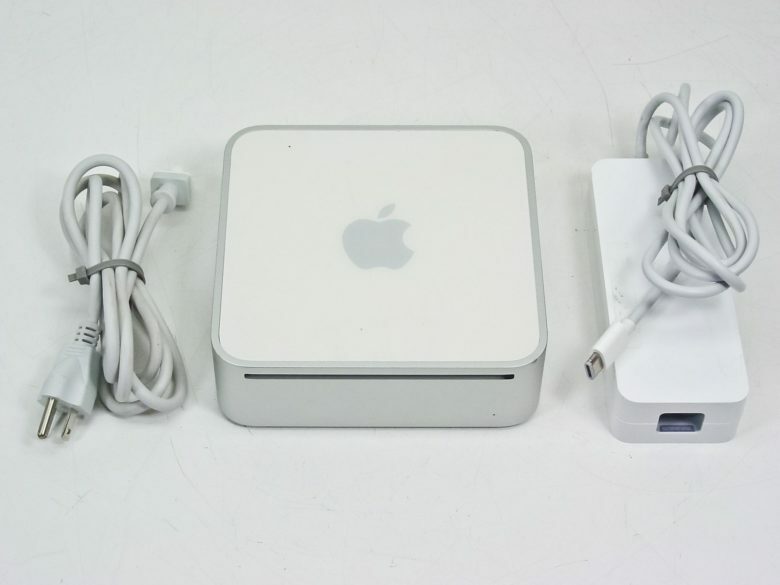 Did you own an Intel-based Mac mini in early 2006? Leave your comments below.